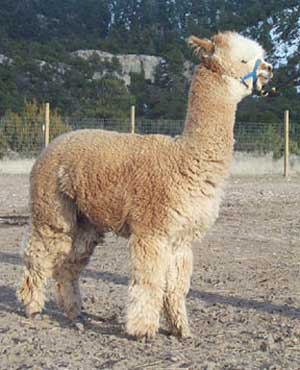 Amador is a P3 White Lightning Son with Award Winning Crias on the ground! Incredible density and coverage; Amador shears over 10 pounds of blanket fleece! 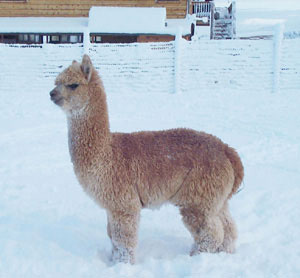 Pandora is a half Peruvian female and is Amador's second cria on the ground. 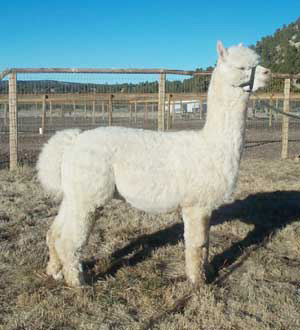 She has perfect conformation and her fiber qualities are quite exceptional - she exhibits a very fine fleece with the fabulous density and coverage of both her sire and dam and the crimp and lustre qualities that we admire in her sire. 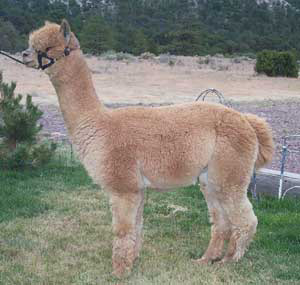 Helios is a 3/4 Peruvian male who also seems to be following in his father's footsteps. From his perfect conformation to the fantastic density, crimp and coverage of his fiber, this male will be a welcome addition to any breeding program. SOLD! to Mike Valichnak and Laurie Whittle of Pinetop, AZ. Titus is a 7/8 Peruvian male out of our Accoyo herd sire Amador PCA, who passes on his incredible fiber qualities to his crias. Titus has it all - extreme coverage and density from head to toe, fantastic crimp and lustre, and perfect conformation. To top it off, he is a beautiful, sweet tempered boy. 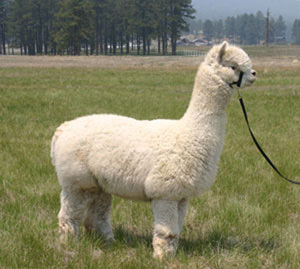 In his first two shows, Titus took a third place ribbon at the Sun City Sizzle and a second place ribbon at the Southwest Regional Alpaca Show. We are very excited about our latest "wooly-bully" out of Amador!